For 45 years, Pilobolus has tested the limits of human physicality to explore the beauty and the power of connected bodies. The world-renowned dance company has toured 65 countries, appeared on the Academy Awards, and garnered numerous awards as well as a GRAMMY nomination. Pilobolus Maximus takes the most diverse and impactful elements of Pilobolus – some old and some brand new – and assembles them in a series of continually changing worlds. 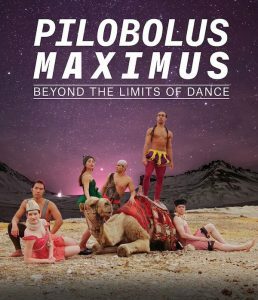 From the irreverence of a wild circus to the physical filigree of its most classical physical work, Maximus is not only the best of Pilobolus but the most revealing of how surprising Pilobolus’ work can be.